Railtown is complete! It will go to the printer on Monday, and we’ll have it in hand soon after. 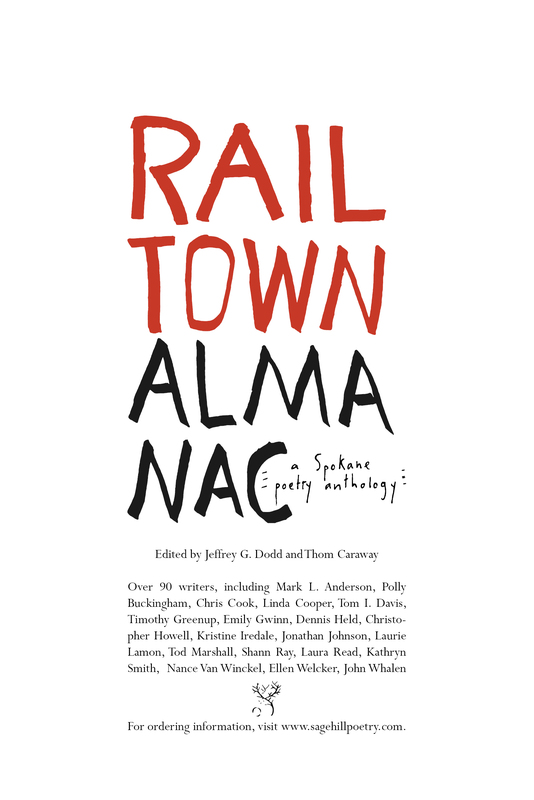 Our first public launch event will be Saturday, November 1 at Auntie’s bookstore, and readings throughout the end of the year at the Downtown Library, Spokane County Library locations, and the Book Parlor.